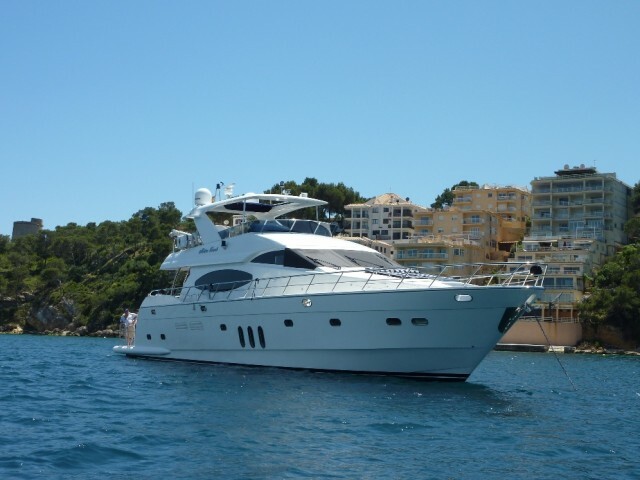 This luxury motor yacht is for sale and offers many special features such as dive compressor, Bose sound system throughout, sky TV, full Raymarine electronics, Besenzoni crane, passerelle and helm chairs, all teak decks, walnut flooring to saloon, helm and galley, Siemens kitchen, super engine noise supressors, 3.85 Williams jet tender. The weekly rate from €25,000 + Iva, fuel, food & drinks. The spoken languages are English and Spanish conducted by a group of professionals and experienced around the islands.